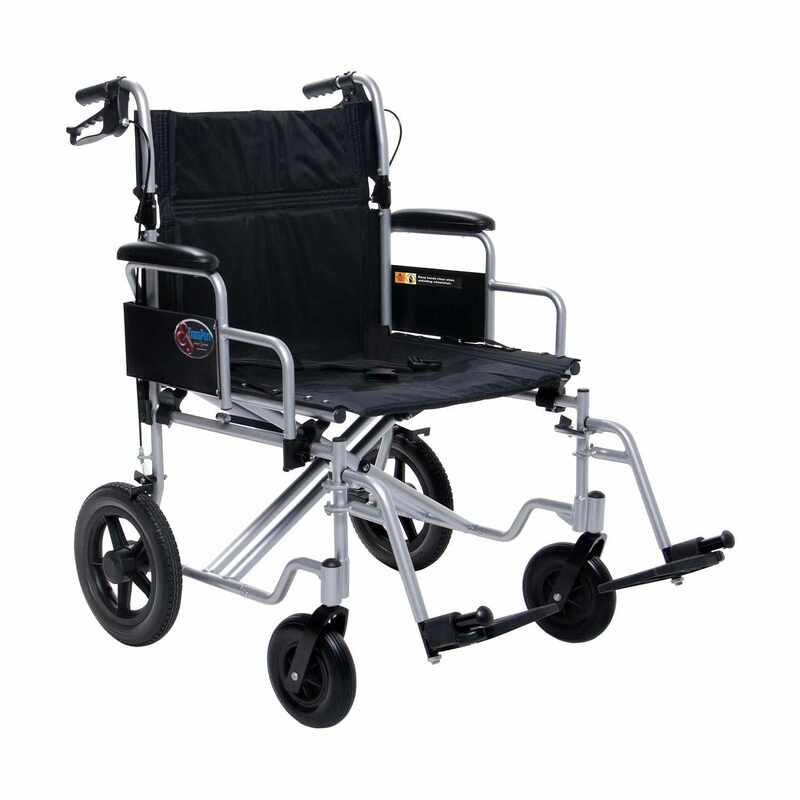 Everest & Jennings bariatric aluminum transport chair comes with 24" seat width and 400 lbs. weight capacity to accommodate heavy weight users. Transport chair features dual crossbrace with gusseted aluminum frame with epoxy painted finish in silver color. 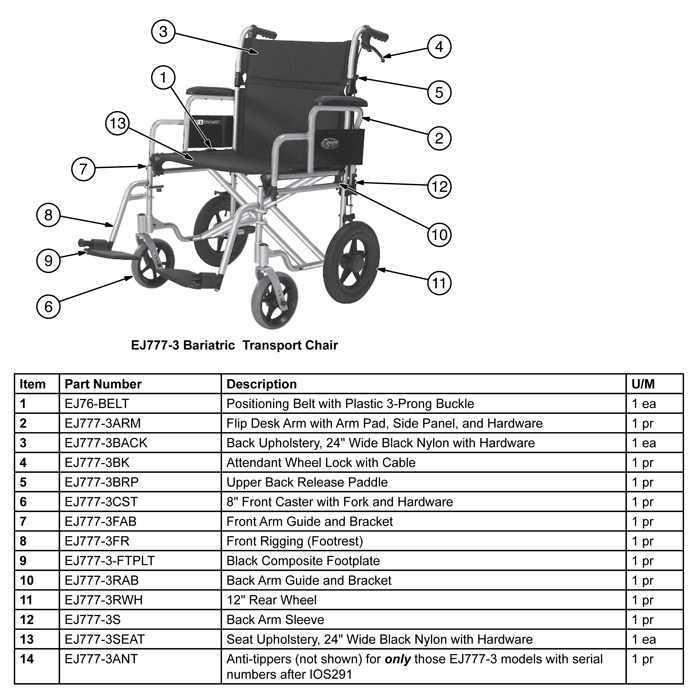 Bariatric transport chair has increased weight capacity and a wider width offer the user increased strength, comfort and durability. Bariatric aluminum transport chair includes carry straps on seat for ease of lifting and folding and fold-down back makes transport and storage easy. A removable flip-back desk length padded arms provide user comfort.